First of all,let me thank each one of my dear friends who visited my 200th post and left their warm wishes.Also I thank those who wished birthday wishes to my son as well.Thanx again for all the love and blessings !!! Kerala,God's own Country has its uniqueness in many ways.This uniqueness has not spared the flavors as well.There are many recipes associated and has left good tasty memories behind it.One such snack recipe is the Achappam /Rosette Cookies.These cookies are deep fried in oil and are usually made of rice flour.But I add all purpose flour as my mom does,it really enhances the taste.When mom used to prepare these for us ,it,we used to munch less and make rings out of the shapes and wore it in all fingers.Many of you might have also done this,and now when I see my kids doing the same ..I just recollected it!These cookies also require a mould to prepare (as seen in pic) and these are available in shops.So,friends enjoy the flavor of Kerala!! -Mix all the dry ingredients,add in the beaten egg and thick coconut milk.Make a batter like that of dosa or pancake.Keep it aside for 30-45 minutes covered. -The hot mould should be dipped in batter(don't immerse the mould fully just dip 3/4th of the mould). -Turn it over till all sides are cooked and browned.Remove and place on a paper towel.Keep the mould dipped in hot oil for the next cookie making and throughout till you finish making. 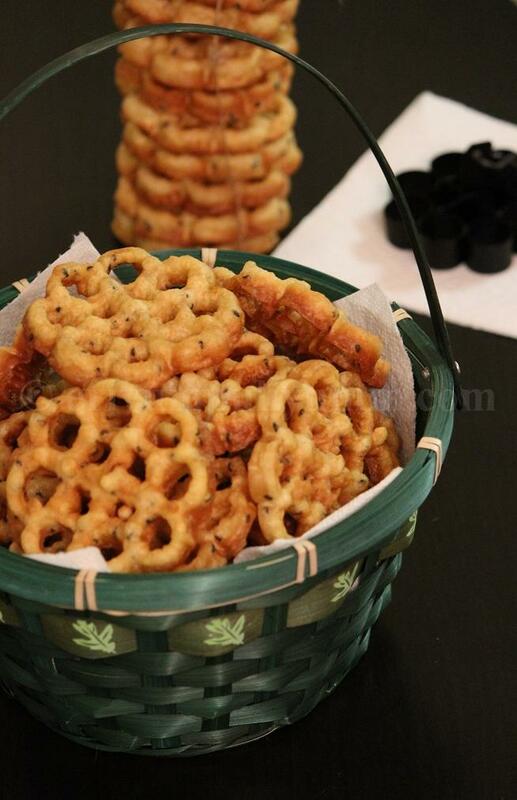 -Serve achappam and store remaining achappam after it cools down completely,store in air tight containers !! * You can make it with rice flour alone,it tastes good that way too.Omit maida if needed,maida adds an extra crunch. * You can whole milk too instead of coconut milk,I have made and tasted both. * Don't shake the mould vigorously otherwise it will not hold the proper shape. * Adding black sesame seeds gives a nice flavor and color spots on cookies. * The main secret behind making the rosette cookies, is the mould should be dipped in hot oil otherwise the batter will not stick to the mould. Also ,I received an award from two of my blogger friends -Maha @ Mahas lovely Home & Reena @ Achu's Amma's Kitchen.Thanx a lot friends,feeling honoured and flying high :)They both have a lovely space,Do hop into their space too. - Thank the person that gave the award and link back to their blog. -Copy and paste the award to your blog. -Reveal the 5 blogs you have chosen to award and let them know by commenting on their blog. -Hope they pass it forward by accepting and awarding it to bloggers they would like to honour. Wishing all A Happy Weekend !! 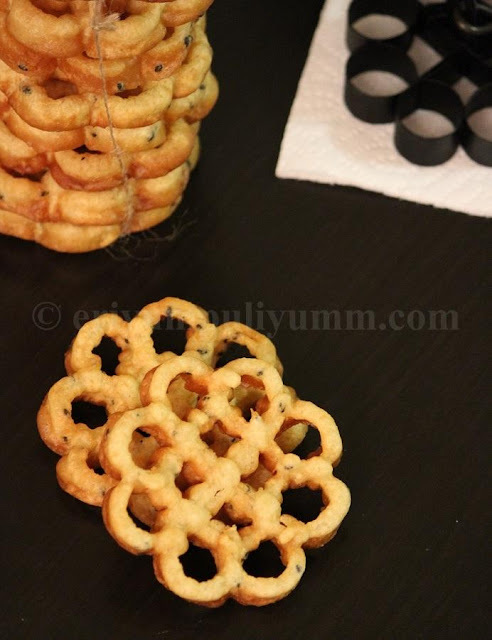 I love these Rosette cookies for their mild sweetness, but haven't tried making it, looks lovely, got to wait till I could get those moulds, and also Thank You dear for the lovely award..
really nice!i like these rose cookies..never knew how to make them..now i have to wait for someone to get the mould from kerala! classic recipe. I think this recipe would have yielded a load of these muruku's.no? These have never come out when I tried it! yours look perfect Julie! 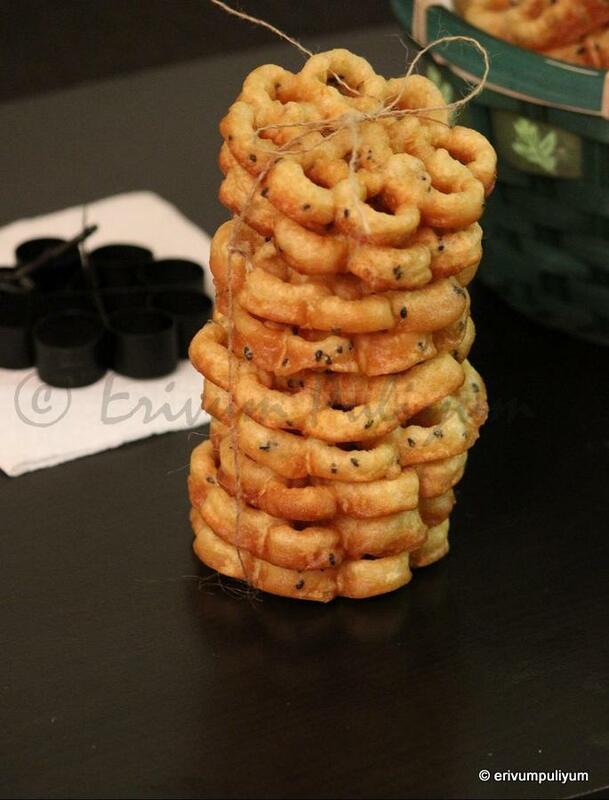 I love these cookies but do not have the mould and my mom could not find it anywhere in Mumbai also. Will keeps searching till I can find it. this is my fav, i love this a lot, but its been long time i had this :( yours look so tempting...nicely done!! Wow these are something I have not eaten for ages. Thanks for the recipe. Congrats obn the award. Used to buy the Amma's brand from the store and eat this one. Interesting how they make it. Looks like your son and I share the same birthday. He must be a good boy.Wish him a belated one foe me. Hey Julie what a lovely creation. Feast eyes and stomach. Thanks for linking up dear. Thanks Julie for sharing the Liebster Award.Your recipes are really AWESOME. this is new to me and loved it very much..looks so yummy and beautiful!! That looks awesome...I never saw a cutter like yours! 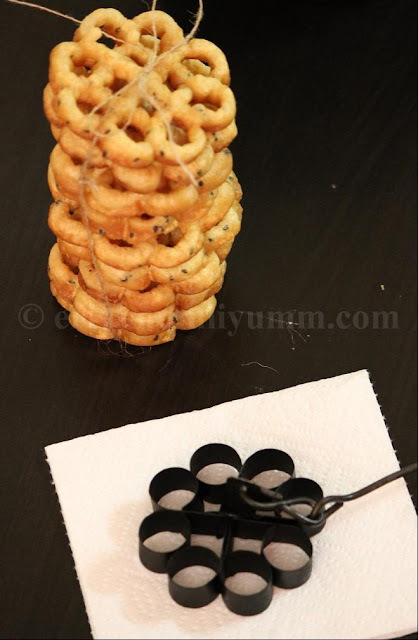 you brought a lot of memories with this lovely achappam, even we used to do the same. All the fingers use to have finger rings or rather hollow finger caps. I used to love Achappan, still love them. Which store have this achappam mould yaa??? super delicious one !! looks perfect !! I know this one. Hv not eaten this for a long long time. I only eat but don't know the name and now I know. Wonderful snack! So delicious and congrats on your awards dear! 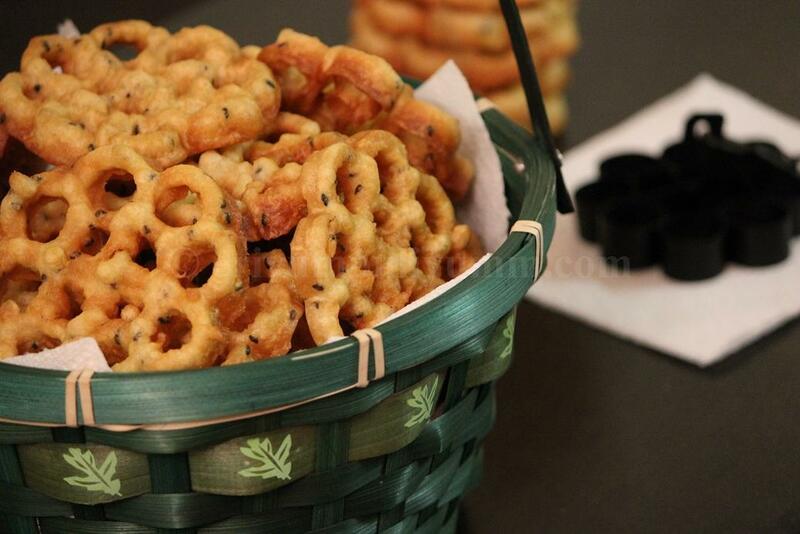 Love achappams,they look so yummy. Sure..you will find them in kerala grocery shops out there or from Kerala. Thanx dear..glad to know its with your birthday!! The mould,I just got these from one of our friends from Kerala. This looks so good, nice one. thanks to link it @ Holi Hai. ach appams look fabulous! and Congrats on your Awards Julie - So well deserved - Wish you many more luv! Here we like to make this too, we call it kuih rose or kuih loyang or honeycomb cookie. Is your recipe tasted crunchy？ I need to buy this mould soon! @Sonia (Nasi Lemak Lover) yes, these are crisp n crunchy cookies.Glad to know that they are known as honey comb cookies too .. This is one of my fav and it looks so perfect! one of my favourite cookies..thanks so much for the award dear..means a lot to me.